One of my favorite things about blogging, and partially what made me realize that I could do it myself was the blog hops. Admittedly, the ones I participate in the most are giveaway hops because those are what I did the most before starting my own book blog. Kathy at I Am A Reader, Not A Writer is a hop rockstar and has contributed so much to the book blogging world. I don't even think I'd have come as far as I have if not for her. I don't know Kathy very well, but I admire her completely. I've discovered other hop organizers since Kathy - namely O'Dell at Book Twirps and Dani at Refracted Light Reviews, whose New Release Giveaway Hop I participate in every month. These folks really have given me more of an opportunity to share my love of reading and books with a larger audience, and I am so grateful. If you're a book blogger and have never participated in one of these hops, I highly recommend it. You can scroll down my right sidebar to see which upcoming hops will fit your blog and interests. You won't regret it. I still consider myself fairly new to the world of blogging, but I'd have to agree, the blog hops are what keep it fun and interesting. I love Kathy's blog hops. They're the most popular thing I do. I'm trying to do one a month and would do more if I could afford it but I already spend a lot on postage and the blog hops I do. Kathy's giveaway hops are really what got my foot in the door. I gained a ton of followers from the first one I did, and I try now to participate every once in a while. Without her amazing contributions to the blogging world, I wouldn't have found your blog as well as a ton of other greats blogs out there. She deserves a standing ovation! 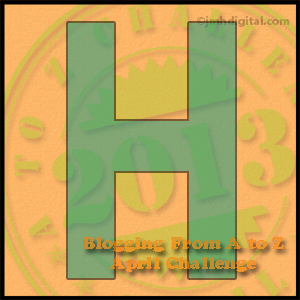 The only other blog hop I really participated in was Follow Friday. But I've stopped doing that because it felt kind of cheap to me. There are others out there, but I simply don't have the time.